I had this evil urge (unfortunately, I have to fight these from time to time) of posting merely the prologue on this book. Which, as you can guess isn’t very much “story” and it’s very short in nature. But because I’m a total sweetheart, cough, cough, I’ll post the entire first chapter. I hope you all have a wonderful weekend! “General Rigid’s looking for you,” Wes announced without ceremony a short time later as he came into Gray’s room without so much as a knock. Gray shrugged. General Rigid, or more respectfully styled: General Ridgely, wasn’t high on his list of people to see at the moment. Likely he was only demanding Gray’s presence because General Davis had asked him to. He shuddered and met Wes’ blue eyes. “Did he say what he wanted?” The question was out before he could think better of it. Grimacing, Gray rolled out of bed and straightened his shirt. His room wasn’t the best place for a man to hide, but in a deserted fort like this, there really wasn’t one. Gray’s only response was to grunt. He had a good idea of why the man was looking for him and wanted no part of it. “Thanks for letting me know,” he murmured as he walked past Wes to leave his room. Stepping out onto the boardwalk, he took a slow scan of the four walls of the fort. To some, it was a simple square made from extended log cabins that were all connected, yet separate. To others, it was their city, their fortress. To Gray, it was now a prison. A bitter taste filled his mouth and he choked it down. Yesterday, he’d have called it his fortress. His home. Now, with the appearance of one man, everything he’d loved now seemed tainted. A chorus of obnoxious laughter sounded from the officers’ lounge, drawing Gray’s attention. His feet itched to carry him down the board planks and into the room where the men were playing cards and telling bawdy jokes, a ritual they did every day before dinner, then again afterwards until it was time for bed. Perhaps not the most sophisticated of pursuits, but enjoyable nonetheless. And in such a forsaken place as this one, a man had to find his pleasure where he could: cards, drinking, smoking, bawdy jokes, and once a week a game of rounders. To some it wasn’t much of a life, but to a soldier accustomed to living so far detached from the world, it was their whole life. He couldn’t join them though. General Davis would look there first. The second place would be his room, so he couldn’t go back in there, either. Heavy, determined boot falls reverberated on the board plank. Gray snapped his head to the right; then just as quickly as he glimpsed the sun glistening off the metal on the front of General Davis’ shako he took a giant step back into his room, colliding with Wes. “What are you still doing in here?” he hissed at his friend. “You were blocking the door,” Wes said simply. Wes gave him a queer look and lifted an eyebrow. Gray ignored him, hoping he’d leave soon. “I’m sure,” Gray said. He didn’t know how he’d do it, but he’d avoid letting General Davis know he was here. And may God be merciful if the man already knew. He couldn’t say what it was about the man, but whenever General Davis was involved in any part of his life, everything always fell apart for Gray. As a boy, he hadn’t been able to do a thing about it. But as a man of twenty-five he’d be damned if he’d allow General Davis to meddle in his life anymore. Peeking out the window by his door, Gray caught sight of the General’s booted feet as he climbed the wooden staircase right outside the door. He breathed a sigh of relief. He hadn’t even a kernel of an idea why the man was here, and particularly why he’d go upstairs, but whatever the reason was, Gray was thankful. He opened the door slightly and waited a few seconds to allow the general to find the door he was looking for; then Gray would make his exit. He frowned. What the devil could be upstairs that would be of interest to General Davis? Nothing. He could only be here for one reason: Gray. As soon as the general realized Gray wasn’t upstairs, he’d come back downstairs. That didn’t give him long to escape and chances were he wouldn’t be able to if he walked out the door and down the board planks. He’d be better off climbing out the window in the back of his room. 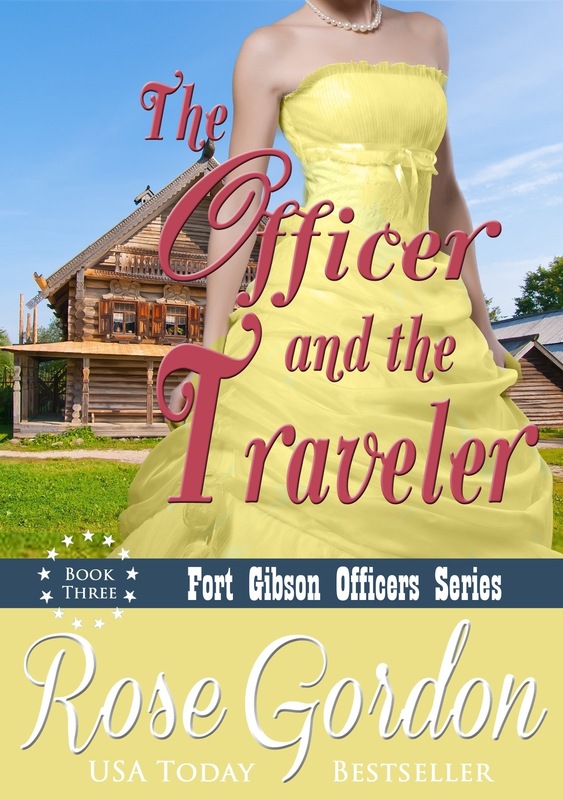 Though the window was only a three foot by three foot window, placed four feet off the ground, it was still his safest choice for it would put him directly outside the four walls of the fort, offering him a bit more time to find a place to hide. Gray grabbed the bottom of the windowpane and yanked it up enough that he was certain he could climb through without getting stuck. Putting the toe of his right boot in the crevice of two logs and grabbing either side of the windowsill, he hoisted his other leg up, hooking it over the window ledge. Keeping his hold on the window casing, he brought his other leg up, then released his grip on the sides and jumped down. Not bothering to dust off his blue trousers, he immediately began to walk casually away from the fort. “On the run today, soldier?” a feminine voice asked. Gray froze instantly. Could today get any worse? His mind warred between his desires and his purpose. 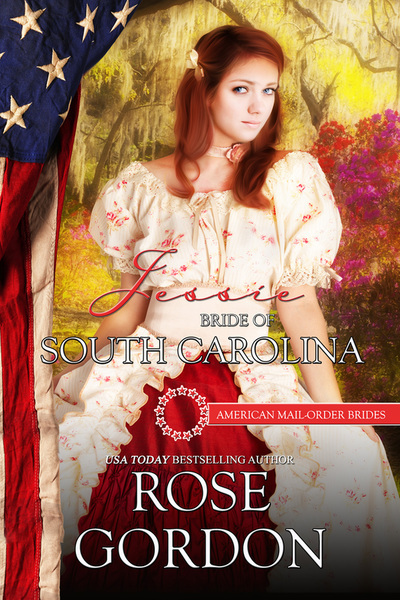 He needed to get away from the vicinity of General Davis as soon as possible, but what of this young woman? Slowly, he turned around to face her and his breath caught. Her beautiful auburn hair was slightly askew, slipping from its pins and framing her gentle, young-looking face. Though she had a hint of a smile playing on her lips, it didn’t meet her eyes. 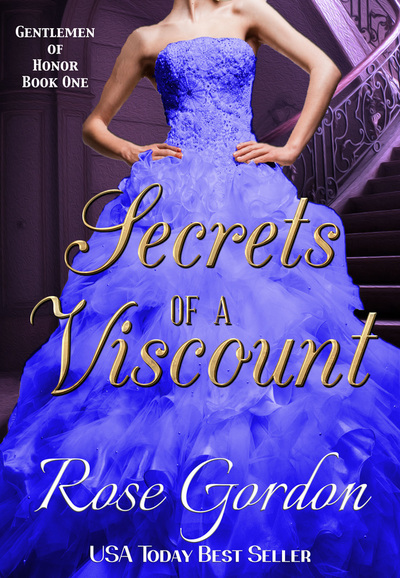 He dropped his gaze lower to her crushed and wrinkled gown that fit snug against all of her feminine curves and swallowed. Its fabric was the most vibrant shade of yellow he’d seen in a long time, giving away how new to the profession she still was. His heart slammed in his chest. She lifted her eyebrows in response. He grinned. Perhaps she was more experienced than he thought. No. Her skin looked too smooth and her dress too new. Unless she’d previously had a protector, she’d have never been able to afford such a fine garment. “And now that you’ve found me?” she asked, bringing him from his thoughts. She bit her lip and she cast a fleeting glance around them, hesitation stamped all over her face and shining in her green eyes. She didn’t look convinced; in fact, she looked more startled by his words than she had before. He reached to steady her, hoping she’d see in his eyes that she could trust him. She swallowed audibly when his hands touched her hips. “It’s all right,” he crooned. His eyes settled on her plump lips and his pulse started to race, spurring him to close the gap between them. What was he doing? He couldn’t kiss her. He’d never once kissed a woman of her station and yet, her trusting eyes and timid beauty called to him. She licked her lips and all of Gray’s restraint crumbled. Abandoning everything he’d ever fought to protect, he brought his lips to hers. Soft and supple, her lips were like heaven. Warm and sweet, her mouth tasted sweeter than any pastry he’d ever had melt in his mouth. This discovery was something he certainly wouldn’t have expected from a woman such as her. A sigh escaped her lips, and he deepened their kiss. Cupping her face with his hands, he idly rubbed her cheeks with the sides of his thumbs—something he’d once witnessed his friend Wes do while kissing his wife. Gray had scoffed at the very idea of such a display. But now… Now he wanted nothing more than to touch every inch of her soft face and hold that sweet mouth to his for as long as he could. Which, heedless to who saw them, was exactly what he planned to do. Or he would have, had the unmistakeable sound of General Davis clearing his throat with a gargle followed by an ahem not rent the air. He pulled back and muttered a curse, not sure if he was cursing because he was about to face his nemesis or at the realization that kissing her had put him in such an uncomfortable state of arousal—something he’d vowed to never let happen with a woman such as this. A wave of shame came over him and he turned his head to cast a cold stare over his shoulder toward the man he’d once told if he ever saw him again he’d kill him with his bare hands. General Davis, a retired general who was here at this abandoned fort for who-knew-what reason, penetrated Gray with his stare the same way he always had when Gray had been caught doing something wrong. 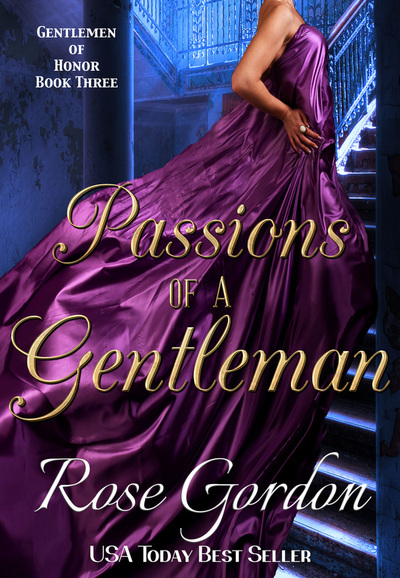 Gray held his gaze and instinctively moved to draw the woman closer to him, doing his best to shield her from General Davis’ view. He hadn’t meant to draw attention to her or embarrass her. He moved his hand to hold her just above her elbow, noting how tense her arm felt under his hand. He gave her a tight squeeze. Not enough to hurt her, but enough to assure her that he wasn’t going to let anyone, especially General Davis, harm her. “What the hell do you think you’re doing, boy?” General Davis demanded from where he stood at attention, not five feet away. 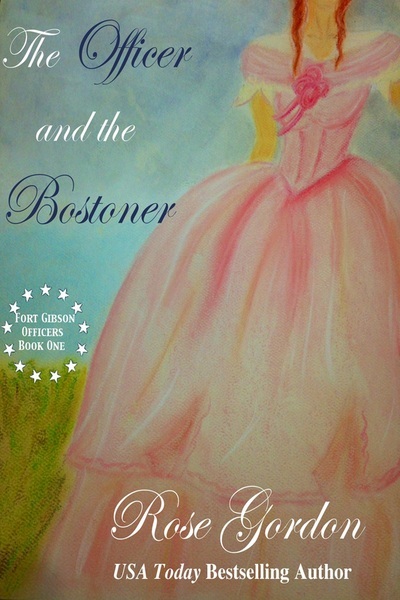 Gray bristled at being called a boy and a belligerent answer formed on the tip of his tongue. One that would no doubt send the general into a temper. 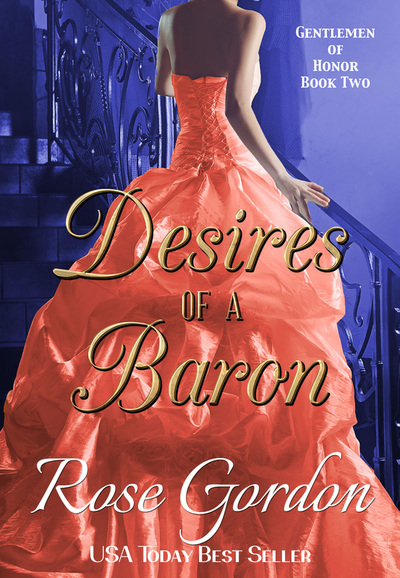 The temptation was too much, but when he opened his mouth, the words, “Kissing my intended, sir,” rolled off his tongue. “Your intended?” the man challenged, his stony face giving nothing away. “Had she one, I’d have asked,” Gray said flippantly. What was it about this man that brought out the worst in Gray? Never mind. He knew the answer to that, and thinking of it only steeled his resolve. 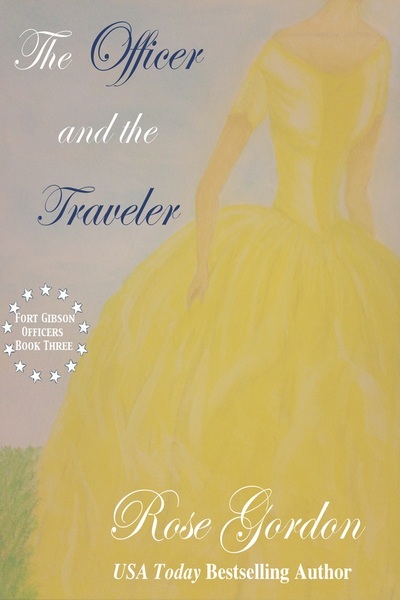 The Officer and the Traveler–coming THIS WEEK! The Officer and the Traveler extended description! All right, it has been long enough that I’ve had the quick one-paragraph description posted for Traveler, so without further ado, here you go! I’m still expecting a release date mid-December. I’ve promised to have it sent off to the proofreader by Monday, so I’m about the enter the stage where I make any of my own last changes! 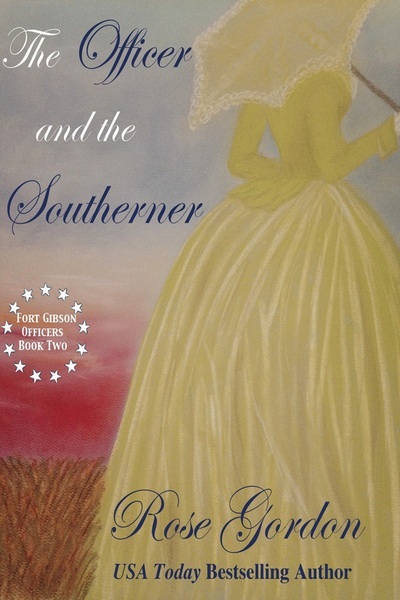 The Officer and the Southerner is Now Available! As some of you might already know, this book’s official release is tomorrow August 30th, but me being me, I inadvertently just publicly let the cat out of the bag on Facebook when I went to see how a certain picture would look as my cover picture on Facebook. However, in honor of the release I’m doing something I’ve never done before and having an official new release party on Facebook! There’ll be games (a few have already leaked my direction and have me quite worried about the kinds of questions my readers want answered), prizes and fun. If you’d like to join, please do by following the link. Thank you all for the continued support I hope you all love Jack and Ella as much as I do!